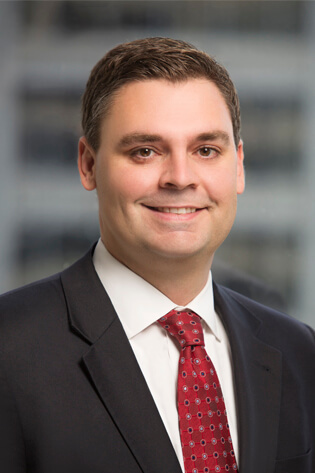 Brian Pipkin provides legal counsel and regulatory guidance to insurance companies, insurance agencies and producers, health plans, managed care companies, and other insurance and health care related entities, on a national basis. He has extensive appellate experience in cases before the federal courts of appeals, state supreme and intermediate appellate courts, and federal and state administrative agencies. Mr. Pipkin received the highest score on the Arkansas Bar Exam in July of 2008. Advises clients on company formation, admissions, expansions, mergers and acquisitions, redomestications, and other corporate issues. Assists clients with holding company and group supervision and solvency related issues and filings, including acquisition of control statements (Form A), annual registration statements and amendments (Form B), prior notice of transaction statements (Form D), Enterprise Risk Reports (Form F), Own Risk and Solvency Assessment (ORSA) Summary Reports, and Corporate Governance Annual Disclosures (CGAD). Advises clients on a wide range of insurance regulatory compliance matters related to advertising, products, claims administration, sales practices, and payment of commissions. Represents companies in financial and market conduct examinations and other investigation or enforcement proceedings before state insurance departments. Assists in the development of new and unique insurance products, including drafting policy forms, form and rate filing, and obtaining regulatory approval. Represents producers and agencies in licensing, disciplinary, and compliance matters. Manages large multi-state research projects for clients regarding insurance regulatory and compliance issues. Monitors issues for and advocates on behalf of clients at meetings of the National Association of Insurance Commissioners (NAIC) and other industry meetings and events. Represents and advises clients in appellate matters before state and federal courts and administrative agencies. Clerked for the Honorable Robert L. Brown, Associate Justice of the Arkansas Supreme Court, from 2008 to 2010.